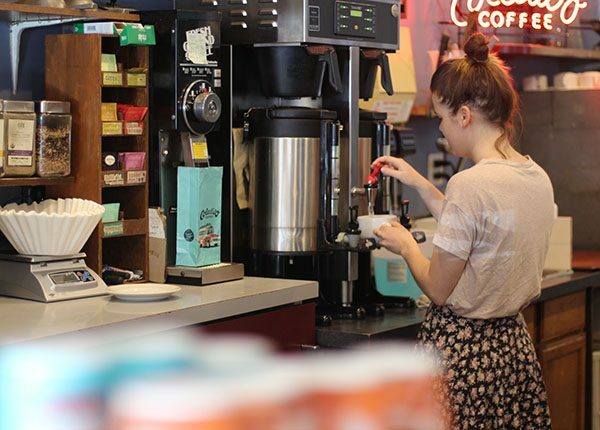 There are lots of online lists of the best coffee shops in Evanston — but none of them take into account the busy schedules, workload or journalistic needs of cherubs. With that in mind, here’s a cherub-researched guide to the best places to transcribe interviews, watch people or meet up with friends, all while sipping a cup of joe. It’s the holy grail of coffee spots in Evanston. The house brew is phenomenal, with strong kicks of caffeine, and the huge serving sizes are perfect after a long night of writing. The restaurant is on the smaller side, but you can almost always find an open table or seat at the window. And once you sit, you can stay for hours. Fresh scones and banana bread fill the display case and they have hot paninis and veggie sandwiches for lunch. If you’re not in the mood for regular coffee, the chai tea latte is a perfect pick-me-up in addition to shakes and their special iced horchata. The crowd is a mix of hipsters and old friends. The chatter is quiet and the music is low, so it’s the perfect place to get work done. Come to write, observe or transcribe, but be wary of planning interviews here. Most coffee enthusiasts have become numb to the allure of Starbucks. The coffee menu is repetitive, the floors are often dirty and the colored drinks make one question whether they’re edible. That’s why the Starbucks on Sherman Avenue is so surprising. Natural light floods through the open windows and hits the exposed ceiling pipes, paintings and plush red leather chairs. This location has a wide range of pre-made salads, sandwiches, breakfast wraps and snacks to tide cherubs over until the next meal. Come here if you need to interview someone, listen to your recording, write your trend story or chat with a friend. It’s a quick option that’s reliable and an easy walk from the dorm. The sky-high avocado toast and green juice at this trendy eatery may be intimidating to some cherubs, but it has more to offer than meets the eye. The coffee is strong and has a nice kick, but it’s seriously overpriced so make sure to drink your first cup free at Allison Dining Hall beforehand. With waffles drenched in chocolate and Spanish omelets covered in steaming hash browns, Cupitol is the perfect place to grab a serious meal and gather inspiration from the focused crowd. But on busy weekends, it can be difficult to transcribe here and it’s impossible to interview anyone. If you’re working on a laptop, you get your choice of lounge chairs and cushy benches, but be sure to claim one quickly. A favorite of Medill cherubs, this coffee joint has quiet music, a focused vibe and lots of space for students to spread out. It’s also perfect if you want strong coffee but your friend wants the Green Tea Tropical Tea Fog. Peet’s has something for everyone, including a decent selection of egg sandwiches, oatmeal and snack bars. The shop has huge windows, making it a great place for watching people and gathering inspiration. Just make sure that if you interview here, you sit outside or are ready to face the wrath of students buried in their textbooks or teachers grading essays on their computers. 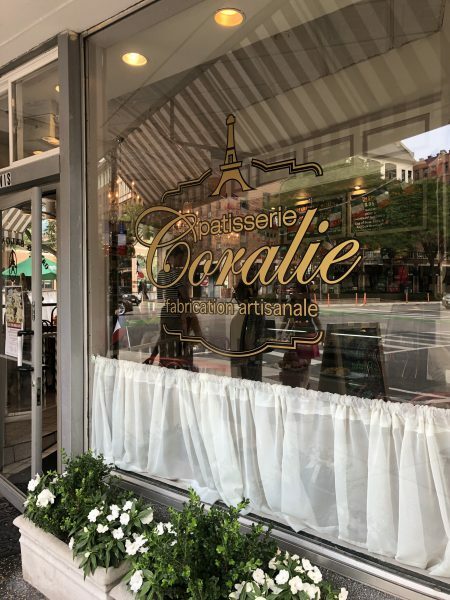 This quaint French bakery is where European aesthetics meet buttery almond croissants and vanilla macaroons, the perfect combination for tea time. The treats and strong Wi-Fi make up for the weak house coffee and limited menu of sandwiches and soups. It’s great if you bring headphones and your sugar tooth, but don’t count on doing a lot of people-watching, as the foot traffic is measly. 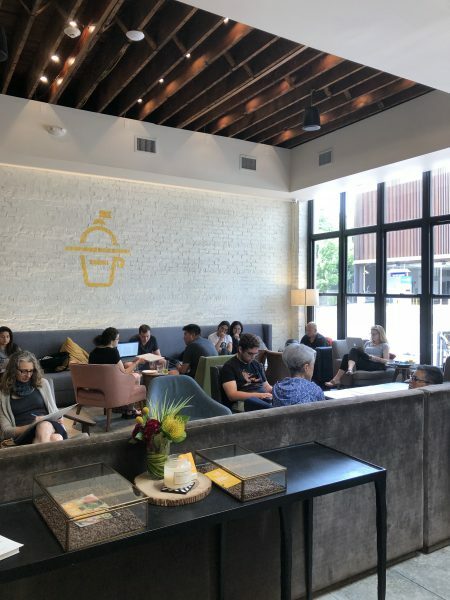 Given the limited seating, you could find yourself uncomfortably close to a family of tourists eating lunch or bantering baristas, which could make for spotty, awkward chatter. But the cafe does work for interviews just as long as you’re OK with the other customers hearing every question you ask.